Health tech has advanced at pace these last few years and, say what you will about other aspects of 2017, for advances in living better, it was a year of innovation. Innovations focused on short-term gains like step counters and heart-rate trackers for runners and gym bunnies have been side-lined from the spotlight in favour of a noticeable focus on ageing well for the long-term. This shift doesn’t come as a surprise knowing that older populations around the world are currently at the highest level in human history. Last week’s Consumer Electronics Show (CES) showcased a range of health tech products aimed at helping the elderly to live life to the fullest and maintain their independence for longer. We also saw big brands shift their focus to wellness tools focused on the long-term. 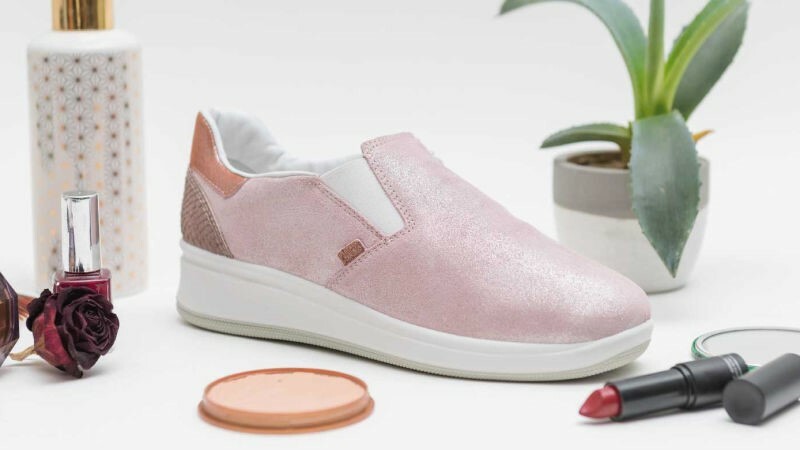 French start-up E-vone have created a smart shoe that features fall detection designed for older adults, workers and travellers. Available in several styles including trainer, hiking boot and work boot variations, E-vone uses GPS and other sensors in the sole of the shoe to detect falling or abnormal movement. When the shoe senses a fall, alert messages are automatically sent to the user’s provided emergency contact or emergency services. Why we love them: They support a growing generation of people who don’t want to feel defined or limited by age. Helite Hip’Air have created the first wearable airbag that protects seniors against hip fractures. 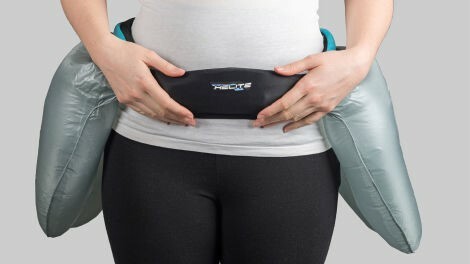 Designed as a special belt and using a gyroscope and accelerometer, the airbags automatically inflate in less than 0.08-seconds when the motions of a fall are detected, and then cushion the impact to help avoid serious injury. Fast Fact: Falls frequently result in hip fractures for older people and elderly people who break their hip are three times more likely to die in the year following an accident. Why we love it: It’s no accident that our first two picks seek focus on smarter, safer aging and my guess is that we’ll see even more tech focused on this group in the years to come. Israel-based OrCam released MyEye 2.0, an artificial vision device designed to help people living with visual impairments such as blindness or partial blindness. 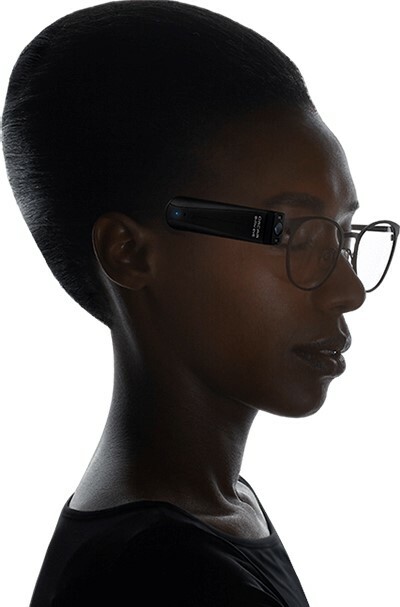 The device, the size of a small match box that attaches to a pair of glasses, is a smart camera about the size of a finger that can read out writing or print from any source. It is also equipped with AI tools to recognize faces, products and money in real time. Why we love it: Because it is a seriously life-changing piece of tech that reminds us that the future is now! Nokia showcased its Wi-Fi enabled pad placed under the mattress to monitor your sleeping patterns and quality of sleep. 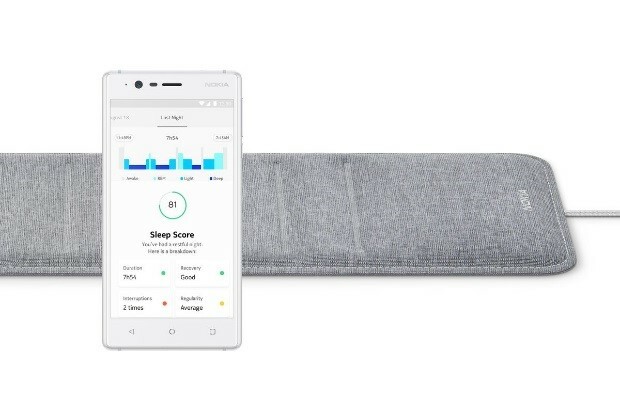 Nokia Sleep tracks users’ sleep cycles, rates how well you’ve slept and can automatically control aspects of your bedroom and house to improve your sleep. Sleep trackers are increasingly popular apps and Arianna Huffington is clearly invested – with poor sleep tied to a litany of health risks, this is another area we expect to see grow. Fast Fact: Lack of sleep can affect your overall health and make you prone to serious medical conditions, such as obesity, heart disease, high blood pressure and diabetes. From beauty company L’Oreal comes UV Sense, a tiny wearable designed to be worn on the thumbnail. 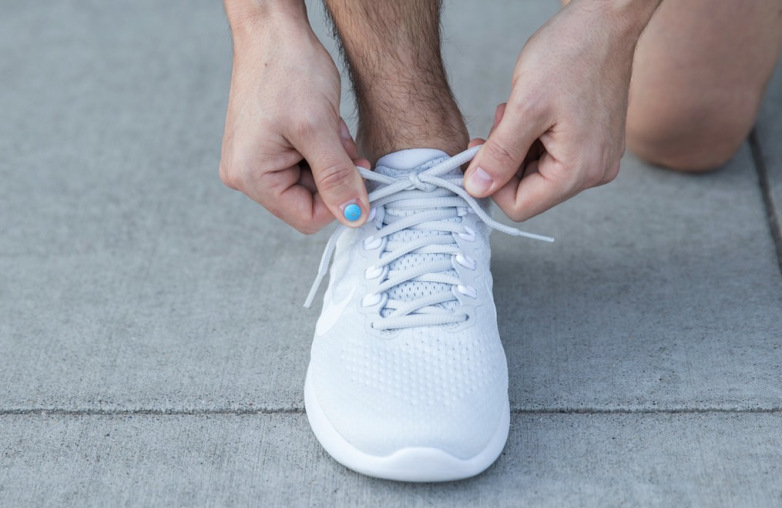 The battery-free sensor measures the wearer’s UV exposure and aims to improve sun-safety habits such as spending time in the shade or reapplying sunscreen. The wearable’s accompanying app offers information telling users when they should be mindful of UV exposure. Why we love it: Because even in England, we’re probably getting too much sun. Editor’s note: If you love thinking about the possibilities at the intersection of health and technology as much as Jet does, follow her on Twitter to hear a few new things most mornings as she commutes from Brighton to our office in London. 1. National Institute for Health and Care Excellence (NICE). Falls in older people: assessing risk and prevention. Available at https://www.nice.org.uk/guidance/cg161. (Last accessed in January 2018). 2. Bourne RRA, Flaxman SR, Braithwaite T, Cicinelli MV, Das A, Jonas JB, et al. ; Vision Loss Expert Group. Magnitude, temporal trends, and projections of the global prevalence of blindness and distance and near vision impairment: a systematic review and meta-analysis. Lancet Glob Health. 2017 Sep;5(9):e888–97. 3. Cancer Research UK. Skin cancer statistics. Available at http://www.cancerresearchuk.org/health-professional/cancer-statistics/statistics-by-cancer-type/skin-cancer#heading-Zero. (Last accessed in January 2018).